General Electric Co. has recently acquired Metem Corp., the New Jersey-based supplier it has been buying metal parts from since the 1970s, The Wall Street Journal reported. And this acquisition is just one of the many steps the industrial company is taking to cut approximately $1 billion from supply chain costs per year. According to the source, GE also announced it would be increasing the components sourced from Russia, India, China and Mexico from 20 percent to 30 percent. 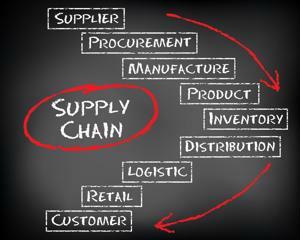 Due to a slow economic growth, manufacturers are tasked with re-strategizing supply chain operations to increase profit margins and reduce costs, the Wall Street Journal indicated. To do this, some are outsourcing and relocating facilities to less expensive countries. Gregory Hayes, chief executive of United Technologies Corp., told the source that instead of acquiring suppliers, the company plans to take the lead from others in the industry. UTC has "some of the most productive factories in the world and yet all of our suppliers or all of our competition has moved to low-cost" areas, Hayes explained. "And so, we're going to have to follow them." The Wall Street Journal also noted that the manufacturing company expects to spend approximately $1.5 billion over the next few years implementing a new approach to supply chain operations. "The weak link in our whole manufacturing process remains the supply chain," Hayes added. "As good as our factories can be, if you have a crappy supplier, it doesn't matter. You need all the parts." According to The New York Times reporter Steve Lohr, GE's chief executive, Jeffrey Immelt, said he anticipated The Federal Reserve's announcement that it would raise interest rates and that, over the next year, the company is "counting on a stronger dollar year." The source also revealed that GE plans to restructure operations in a way that, come 2018, the industrial segment would produce nearly all of its profits.